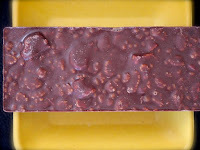 Theo Chocolate, Inc. (Seattle, WA) makes a wide variety of chocolate bars. But, this was the first small kids* bar I'd seen or tasted. The small bar size will likely appeal to kids and grown-ups. 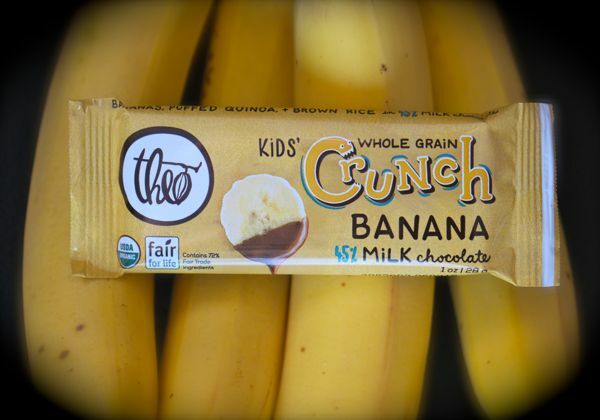 If you ever loved the crisp rice embedded in a milk chocolate bar (think Nestle Crunch), you should try today's Kids' Whole Grain Crunch Banana bar from Theo Chocolate, Inc. (Seattle, WA). 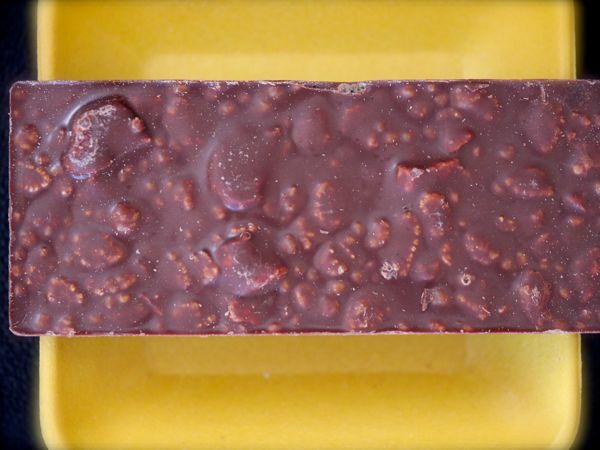 This updated version of a crunch bar was certified fair trade and organic, and made with (still sweet) 45% milk chocolate. The traditional rice crisps have been replaced by puffed brown rice and quinoa. 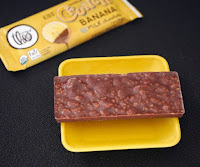 There's also a whisper of subtle banana flavor and texture (from bits of freeze-dried banana). Happily there are some missing ingredients as well, such as certain preservatives and additives. And, no need to fear the term "whole grains" if you're gluten-free. There is brown rice and quinoa, but no wheat or barley ingredients. Today was Day #6 of Chocolate and Banana Theme Week.